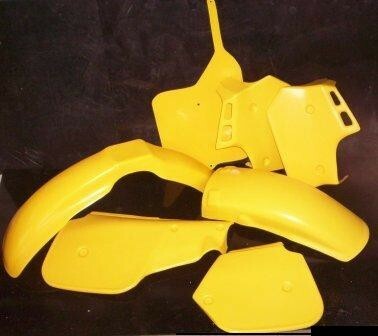 This kit includes a front fender, rear fender, rear inner fender, set of side panels, and front number plate unit. 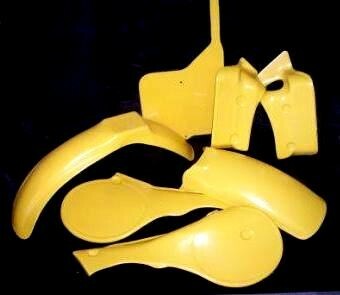 For individual product pictures, please visit the "Plastic" category. 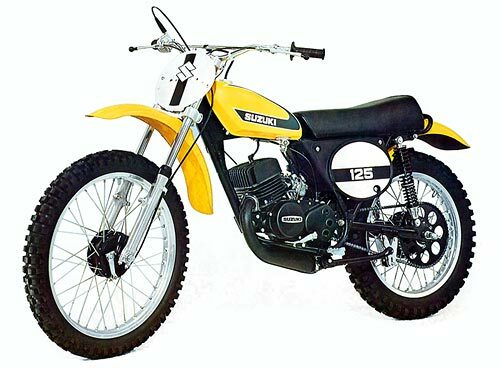 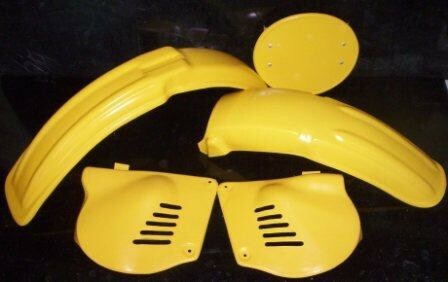 This kit includes a yellow front fender, yellow rear fender, black rear inner fender, set of black side panels, and white front number plate unit. 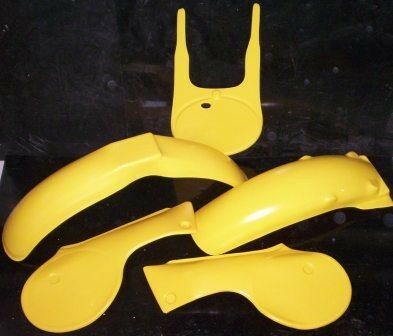 For individual product pictures, please visit the "Plastic" category. 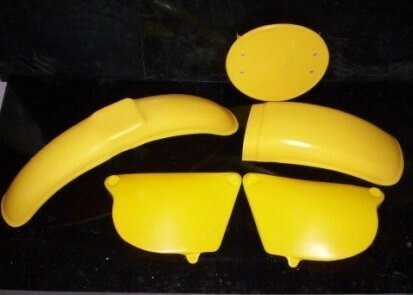 This kit includes a front fender, rear fender, set of side panels, and front number plate unit. 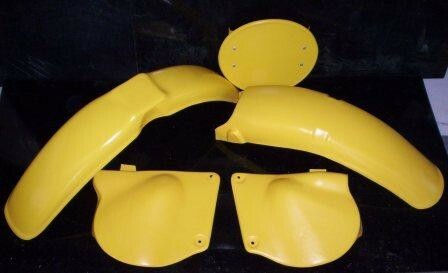 This kit includes a front fender, rear fender, set of side panels, and a front number plate unit. 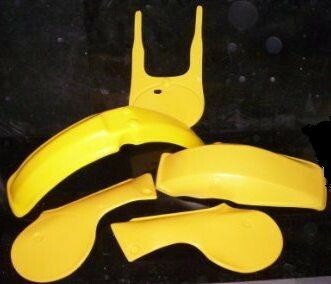 This kit includes a front fender, rear fender, set of side panels, pair of radiator shrouds, and a front number plate.